Topics: Zapmedia, Authors, Word On The Street, Affiliates, and Into The Dark. Its 2 nameservers are ns30.hostgator.com, and ns29.hostgator.com. Websitewelcome.com (Texas, Houston) is the location of the Apache server. 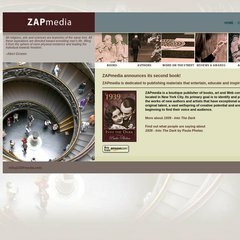 Zapmedia.com's server IP number is 96.125.166.130. PING (96.125.166.130) 56(84) bytes of data.